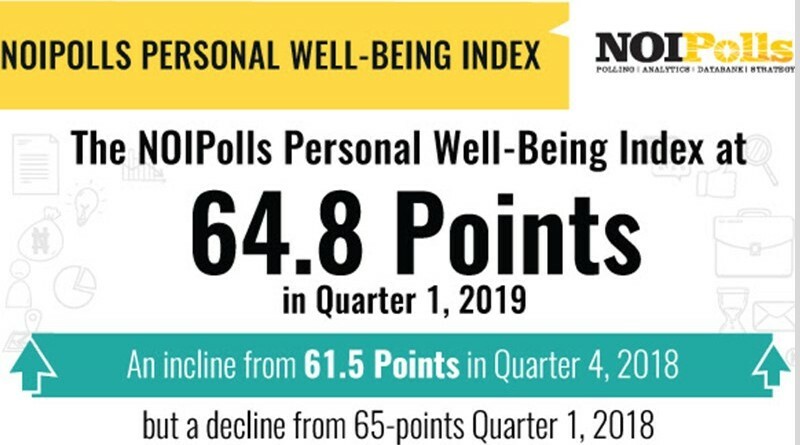 The NOIPolls Personal Well-Being Index (PWBI) report for Q1, 2019 revealed an increase of 3.3-points in the PWBI to stand at 64.8-points from 61.5-points obtained in Q4, 2018. 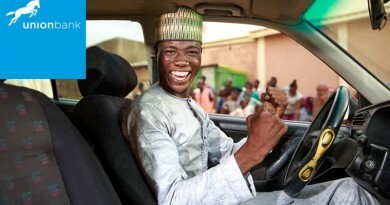 The PWBI is determined by the satisfaction of Nigerians on various aspects of their lives. All of the seven factors that constitute the PWBI experienced an increase except the Religion Index which experienced a marginal increase. Remarkably, the highest increase was seen in the Personal Security Index with an 8.7-points increase to stand at 66.6-points from 57.9-points obtained in Q4, 2018. The increase in the security sub index may be attributed to tighter security measures put in place by the government in periods leading up to the 2019 general elections to ensure a free and fair elections and improve security situation in the country. The 2019 general election interestingly culminated with the period in view (Q1, 2019). 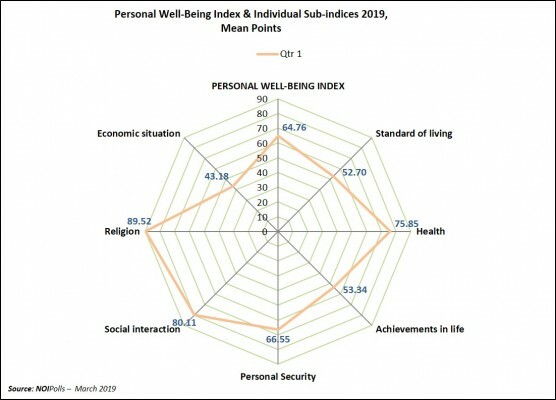 These are the key highlights from the Q1, 2019 Personal Well-Being Index survey. The Personal Well Being Index Poll was conducted in Quarter 4, 2018. 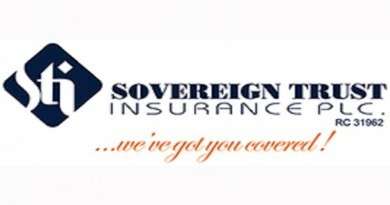 The PWBI involved telephone interviews of a random nationwide sample. 1,000 randomly selected phone-owning Nigerians aged 18 years and above, representing the six geopolitical zones in the country, were interviewed. With a sample of this size, we can say with 95% confidence that the results obtained are statistically precise – within a range of plus or minus 4.65%. NOIPolls Limited, No1 for country specific polling services in West Africa. We conduct periodic opinion polls and studies on various socio-economic and political issues in Nigeria. 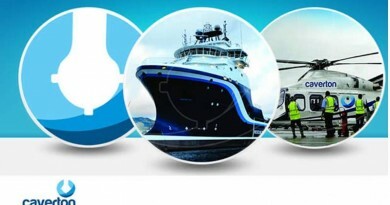 More information is available at www.noi-polls.com and you can download our mobile app NOIPolls on your smartphone.